MicroMetrics builds the most intelligent communication solutions for business and enterprise. Whether you’re a hotel operator looking to increase guest satisfaction scores and streamline internal operations, a government organization looking to connect with visitors in your city, or a brick-and-mortar business looking to improve customer satisfaction, MicroMetrics’ adaptable solutions are built to ensure your teams provide the best possible service to your loyal customers. Our solutions work seamlessly together, allowing enterprises to turn interactions into memorable experiences. 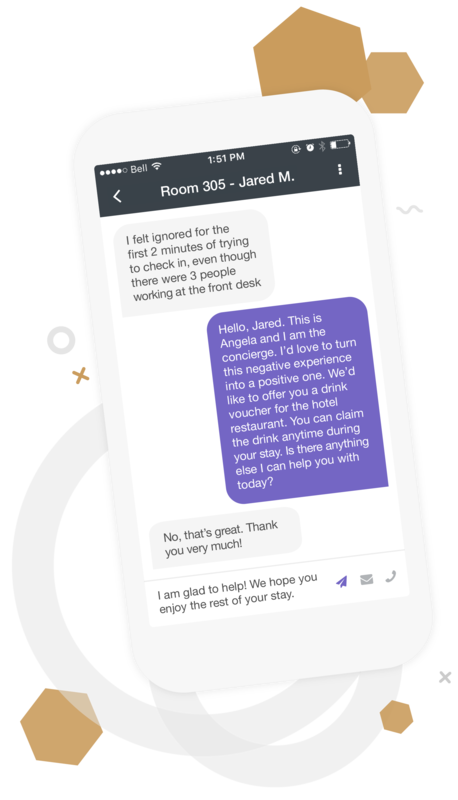 Solve guest issues on the go, bring all your team’s conversations to one place, and build lasting relationships with your guests through Helix Mobile. With thousands of customers and counting — spanning from small to large enterprises — we understand the importance of relentless commitment to your customers and their needs. Our team consists of customer-driven innovators and service-industry veterans, this results in diverse points of view, yet blends together with a united belief in the necessity of functional and forward-thinking solutions.